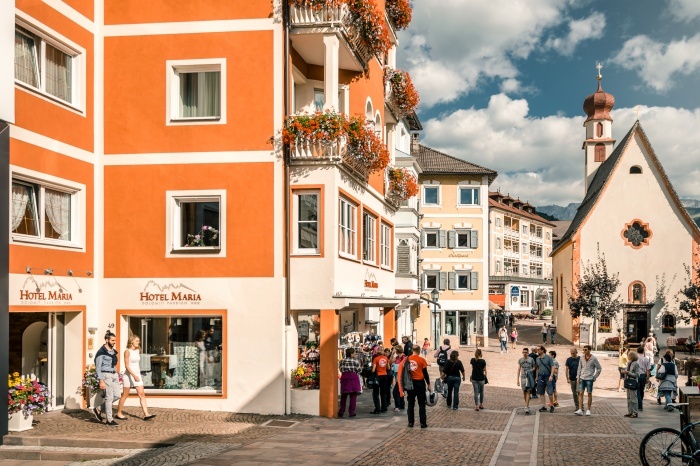 Our family-run hotel is located in the pedestrian area of the centre of Ortisei in the dolomites, all lifts and gondolas are within walking distance. 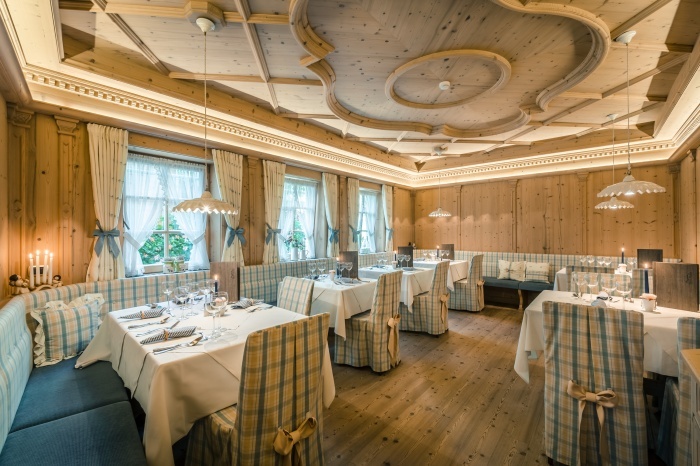 A warm welcome to Hotel Maria. 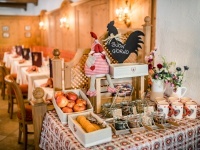 We will welcome you with the typical family and Tyrolean hospitality and will spoil you with friendly and serene service. 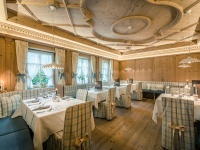 Guests may relax in a welcoming and comfortable setting. The Hotel Maria team and Moroder family will do everything possible to transform your holiday into an opportunity to relax because our greatest desire is to really make you feel at ease. 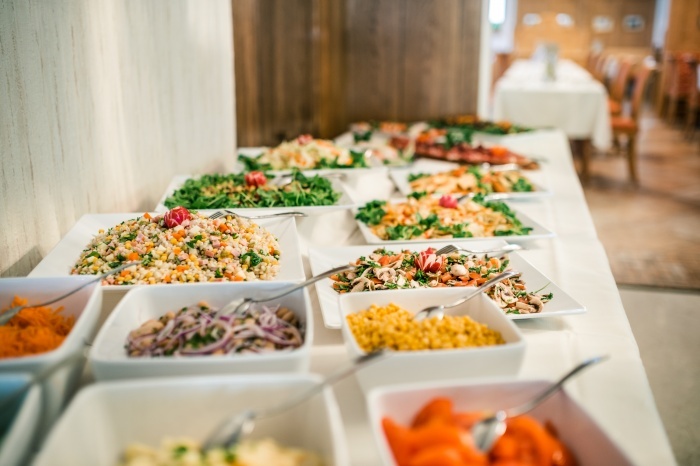 Our chef knows how to indulge your taste buds. 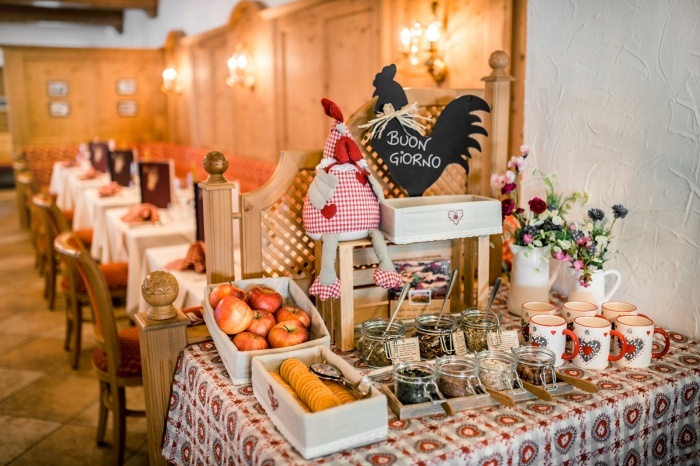 He will prepare delicious Italian and Tyrolean dishes as well as a varied buffet. 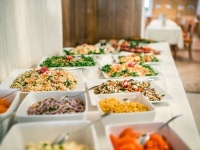 Our halfboard includes a daily breakfast buffet with the best local and Italian products and tasty 4 courses dinner with choice of menu and a rich salads and antipastibuffet. 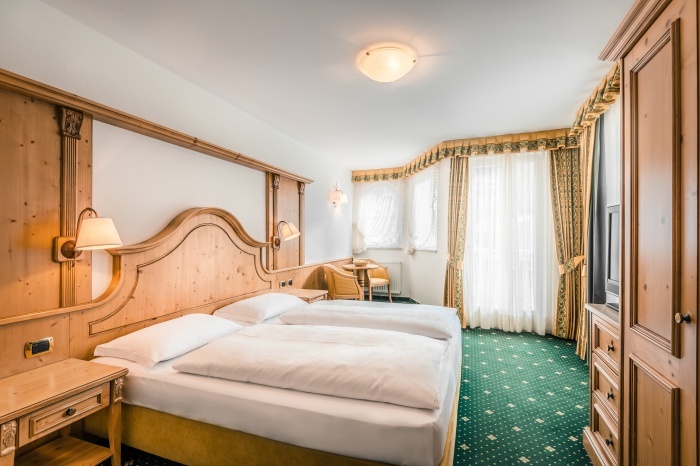 All rooms are equipped with a bathroom with bidet, hairdryer, flat screen TV, safe, telephone and free Wi-Fi. Balcony on request.Enjoy the free access to Ortisei�s public swimming pool. Children and families will find fun and relaxation in the aquatic world of Mar Dolomit. Indoor and outdoor large and small pools, a slide, a trampoline and a beautiful green meadow. 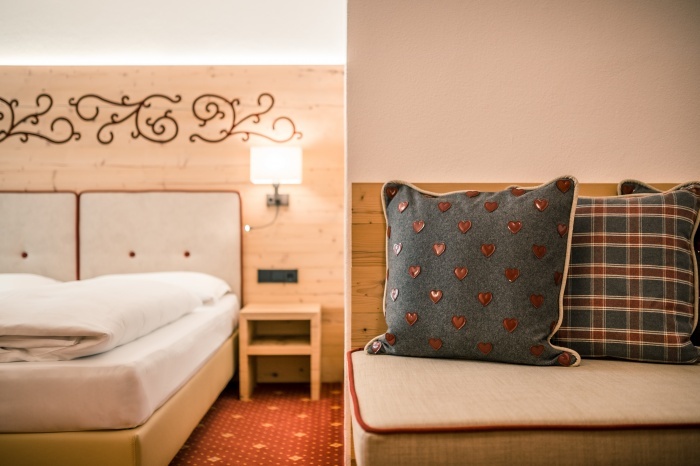 Twice a week you will enjoy the saunas and wellness of Mar Dolomit to regain your well being by relaxing in the pleasant heat. We are located in the heart of the pedestrian zone on St. Antonio Square. 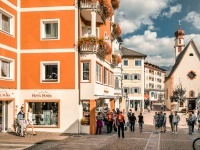 The lifts, with connection to Sella Ronda, ski rentals, shops, pharmacy and restaurants are in the immediate vicinity. We have two underground parking garages for your car. 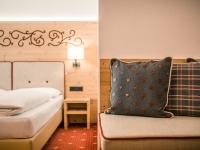 Just a few meters from the hotel you will find convenient access via the escalator to the Seceda lift that quickly connects to the fantastic carousel of the Sella Ronda. With just a few minutes walk, you can gain access to the Alpe Siusi lift where you can indulge on easy slopes accompanied by the magnificent views of the Sassolungo Peak and Sassopiatto Mountain.